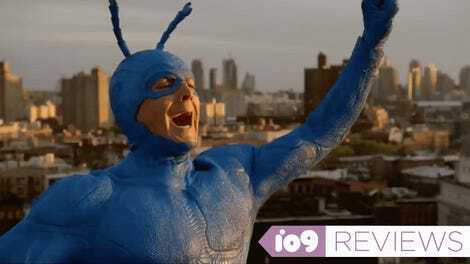 The debut of Amazon’s new Tick series has gotten longtime fans reminiscing about previous versions of the big blue superhero. Amazon’s show is largely a fresh take on creator Ben Edlund’s lovable super-lug but there’s a sly shout-out to past iterations nestled inside the newness. 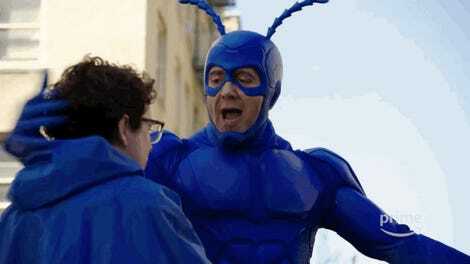 Two other performers have portrayed the Tick in older adaptations. Townsend Coleman voiced the antennaed hero in the 1995 cartoon show, and Patrick Warburton famously wore the bodysuit for a short-lived live-action adaptation. One of them is hiding right in the new Tick, in a great cameo that references a gag from the old cartoon. Episode five of the series has a sequence where lethal vigilante Overkill is watching a talk show interview with Midnight, one-time member of super-team the Flag Five. Midnight is a talking dog, a knowing reference to smarter-than-they-should be animal sidekicks like Krypto or Ace the Bat-hound. 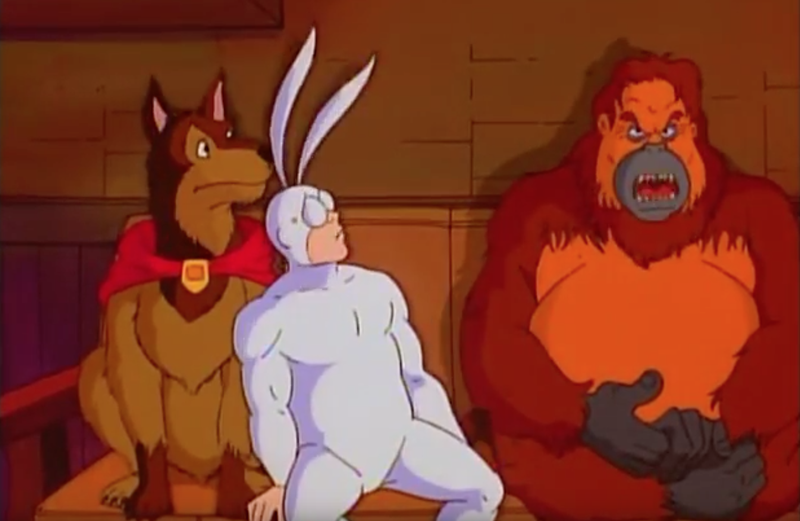 There was a similar character on the Tick cartoon, who Arthur met in the Sidekick Lounge of the heroes-only Comet Club watering hole. And, if you guessed that Coleman is the guy voicing Midnight, then you’re correct. I only stumbled onto that fact when I checked the actor’s IMDB page to make sure I was spelling his name right. His voice work on the new show is a cool little nod to past versions of The Tick. One can only hope we’ll get a few more secret cameos like this as Amazon’s Tick show continues.